It’s nearly a week since my last post, I thought it was time to check in! Uni daughter is home for a week (squeee!) and with two family birthdays and also half term here, there are lots of girls, giggles and cakes around the house once more! Yesterday I rustled up a simple Tote bag sample for a couple of beginner quilters in my class. This is a roomy bag, finishing around 18″ x 17″ and great for using up a few more scraps! I recycled a denim belt for the handles and used trusty Essex yarn dyed linen for the main body! I’ve also been progressing my crochet top. The back is done and I’m working my way up the front! Only once before have I attempted a crochet garment, a long time ago, and it was never finished! So fingers crossed I have better luck with this one! Sadly, my boiler is playing up again! No heating for the 3rd time in 2 weeks! Boo! So there was nothing else for it! 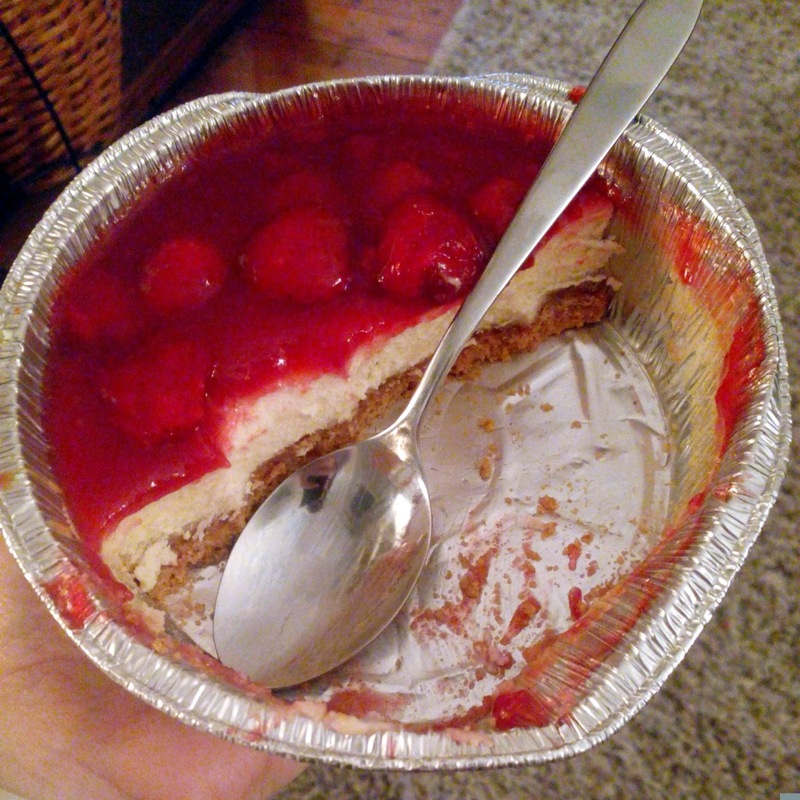 Half an M&S strawberry cheesecake was definitely harmed in the making of this blog post! Hope you’ve had a wonderfully, creative week! Previous Previous post: Spooling Around! Next Next post: Spot the Difference!